Personalised Full Colour Arched Top Photo Board. 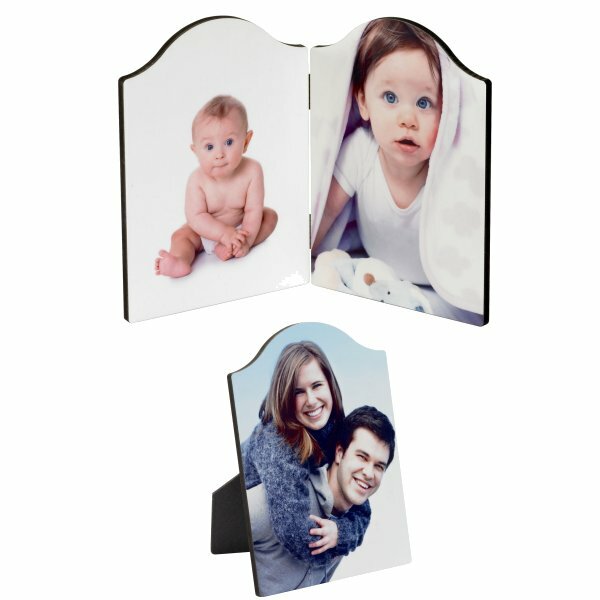 The photo board is available in 2 options - 1 with a stand or a hinged pair. The individual boards measure 7” x 5”.